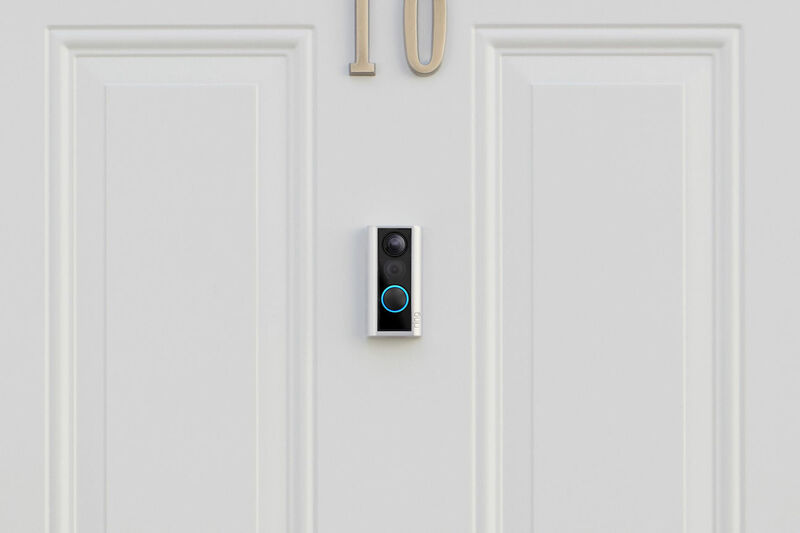 Ring on Monday at CES 2019 announced its fifth video doorbell. The Ring Door View Cam is a wire-free solution, meaning it requires no drilling or permanent modifications to your door or home to install. The one key requirement, however, is that your door must have an existing peephole or door viewer. Simply remove the existing equipment, install the Door View Cam in its place on each side of the door and add the rechargeable battery and removable faceplate. The camera offers 1080p HD resolution, motion detection, support for Alexa, a microphone and speaker for two-way communication and night vision for seeing in the dark. There’s also an impact sensor that will send you an alert when someone knocks on the door versus ringing the doorbell (that happens more than you’d think). What’s more, the Door View Cam includes a glass viewer meaning the functionality of the original peephole isn’t lost. Another benefit of the Ring Door View Cam over, say, a traditional video doorbell is placement. Doorbells sit off to the side of a door and thus, don’t provide a direct, head-on view of who is at the door. Peepholes are centered in the middle of the door, in perfect line of visitors. The Ring Door View Cam goes on sale later this year for $199. Yep, actually sounds like a good idea. I have a similar peep hole door bell cam from another manufacturer with a 5" diameter color display on the inside...Works well! 200 seems reasonable to me not to mention specs seem good enough don't need a 11k camera at my door. So, they've made an expensive security device easy to steal.